Your patient data is now at your fingertips every where you go. NO mobile network, NO Internet, NO Data Plan needed for most critical functions! 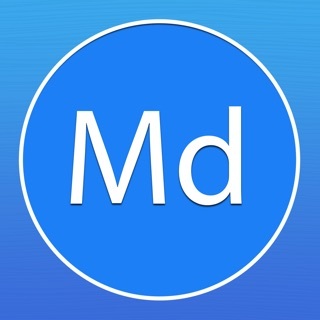 The Doctor ON GO app for iPad offers Patient Visits and Records Management features for busy medical professionals. 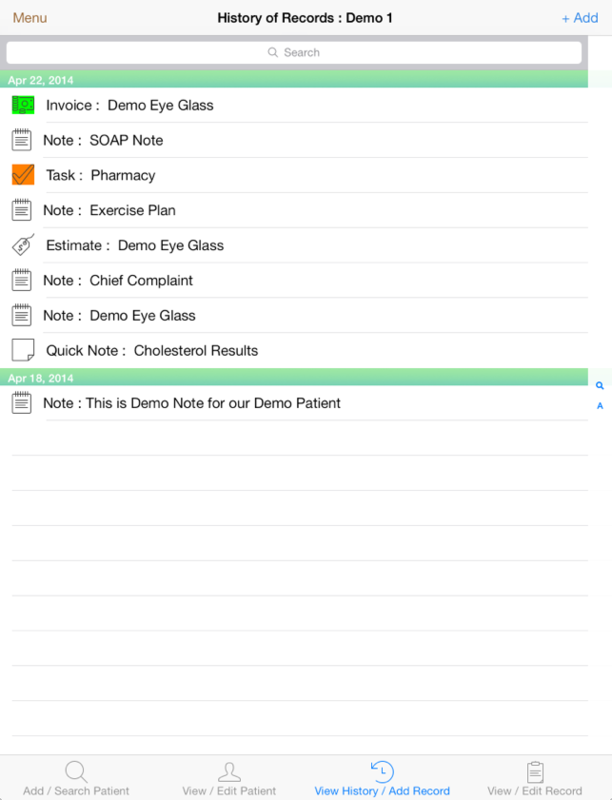 SOAP Notes can be turned into invoices or estimates with just one tap. 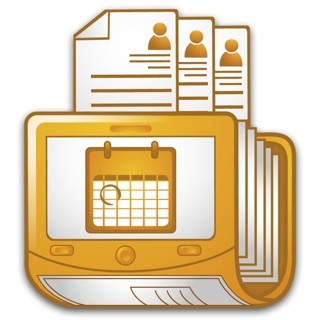 Ability to add reminders for all tasks or to-dos differentiates the App. Being able to immediately sync activities with the calendar sets the App apart. 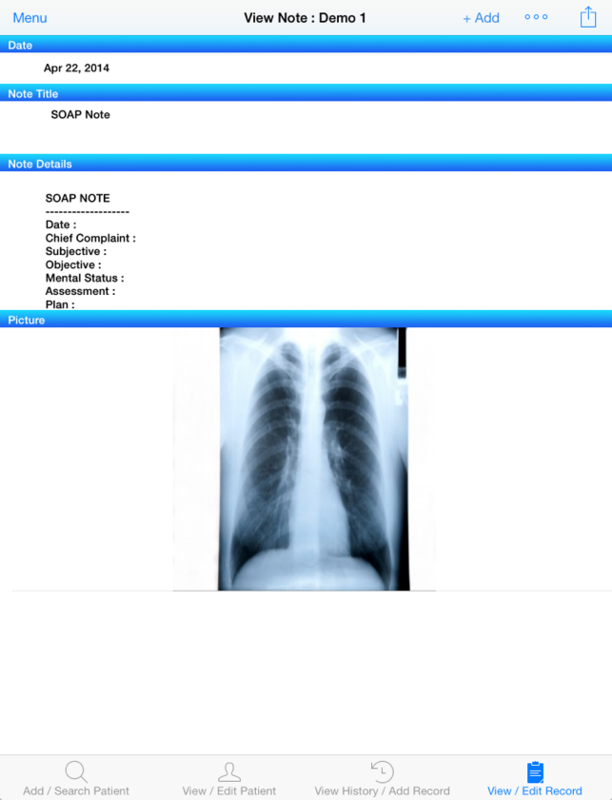 This patient data storage app has several patient management features for busy medical professionals. They can create custom templates in order to fill and store any particular type of data based on speciality. Less Typing & More Tapping offers immediate boost in productivity. Doctor ON GO does not need internet connection & can be used effectively in remote areas of the world. 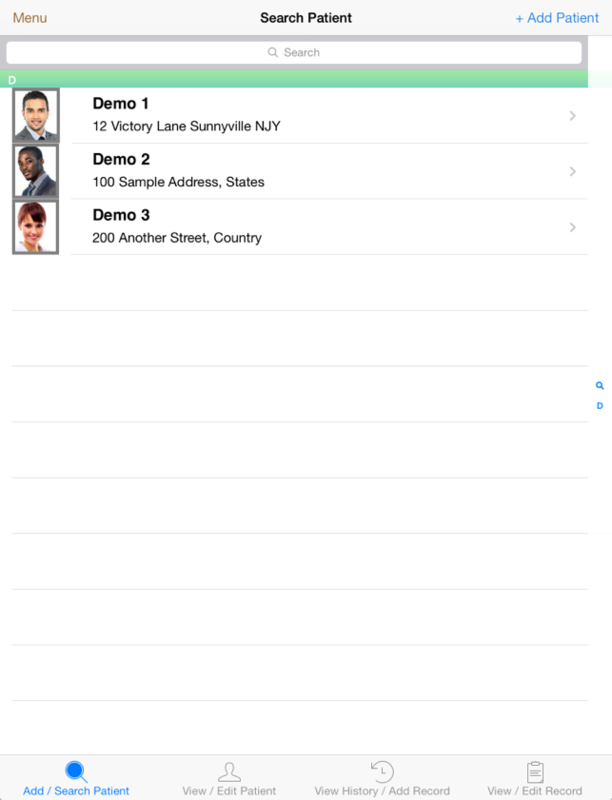 The App can be used as All-In-One mobile office software or to compliment with an existing software by exporting CSV files from the App. Doctors, Nurses, Dentists, OPDs, massage therapists and more. * Add, update, delete, search patients, visits on the go for effective Patient Notes Management. * Various Color Themes are available to suit your taste. * Boost productivity by creating your own custom templates for commonly used scenarios to save repetitive typing. 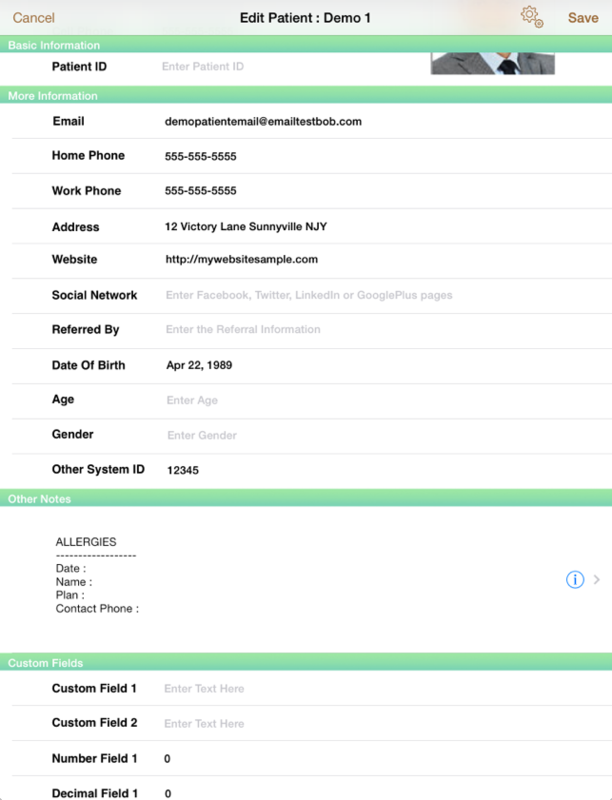 * Customize Patient Form to show or hide fields. 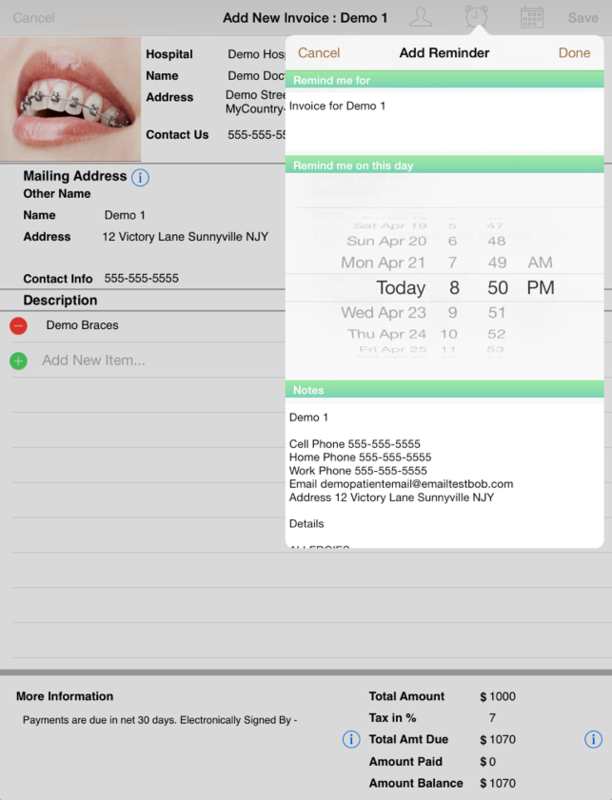 * iPad Address Book integration. * View Notes and Records History. * Smart Search of Records. 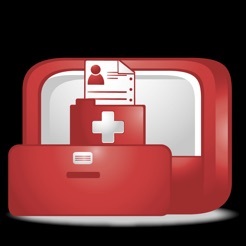 * Pre-fills your hospital information in records and invoices. 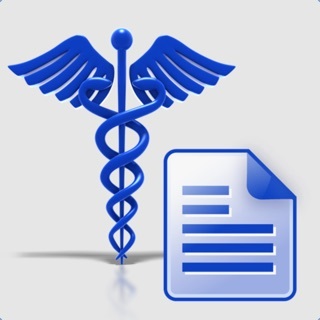 * Support for photo attachments for patient records. 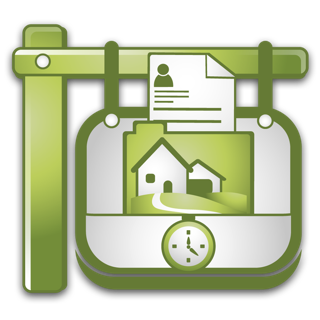 * Create notes, invoices, estimates, journal logs, tasks, to-do, communication trackers, time sheet. * Add reminders and events to the Calendars for important tasks. Free up your mind to focus on patient care. * One Tap to duplicate records. * One Tap to turn Estimate into Invoice and vice-verse. * One Tap to turn Record into Invoice and Estimate. * Export-Import to share data with existing applications by uploading and downloading CSV files. 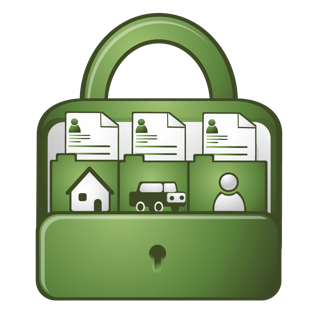 It is perfect for bulk or mass data upload to/from your existing system. * Schedule events or appointments. Supports calendar sync. * Detailed HELP with Videos. Videos need internet connection to watch. Download the App now for Free ! For adding more than 50 patients and records, you can upgrade to Doctor ON GO Premium through an auto-renewing subscription of USD $39.99 per month. Payment will be charged to iTunes Account at confirmation of purchase. Subscription automatically renews unless auto-renew is turned off at least 24-hours before the end of the current period. Your account will be charged USD $39.99 for renewal within 24-hours prior to the end of the current period. You can manage and turn-off subscriptions by going to the Account Settings after purchase. Please note that no cancellation of the current subscription is allowed during active subscription period. Any unused portion of a free trial period, if offered, will be forfeited when the you purchase a subscription. Bug Fixes for Editing Invoice and Estimates. Fixed Search History screen to display the dates correctly on the visits. Please backup iPad before update. What a great idea!! Simplicity, convenience, nice interface, and most importantly - it saves time!! First I treated this app with suspicion, but now I dont understand how I had lived without it!! Thanks to all developers, 5+!! I am disappointed that you can only search by name. Because I see patients in multiple locations, I would like to search by other form fields as well. Requires iOS 7.0 or later. Compatible with iPad.